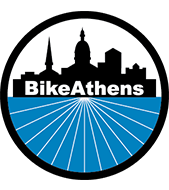 Come to Athens, GA over the weekend of October 12-14 2018 and join fellow bicycle advocates for events, speakers, rides and more. Want to present at the Summit? We are looking for individuals and organizations to present on interesting and relevant topics on bicycling + advocacy in their communities. 45-50 minute sessions! With Charles Brown, Senior Researcher at the Alan M. Voorhees Transportation Center (VTC) and Adjunct Professor at the Edward J. Bloustein School of Planning and Public Policy at Rutgers University; Rebecca Serna, Executive Director of the Atlanta Bicycle Coalition; and Byron Rushing, Bicycle and Pedestrian Planner at the Atlanta Regional Commission and Board President, Association of Pedestrian and Bicycle Professionals. 1:30-4PM in the Cypress Room in the Foundry Street Building at the Classic Center. - Jared Draper of Toole Design Group on the Athens in Motion bicycle/pedestrian master plan. - Want to watch the Georgia vs LSU football game? Evening event at Creature Comforts Brewing Company, 271 West Hancock from 8-10PM. Look for the Georgia Bikes tent. 2. Road bicycle ride to Winterville, lead by BikeAthens Board member and unofficial "bike mayor" of Athens. 25 miles, chill pace, no drop. 3. Cruise around town ride with BikeAthens' Scott Long and Georiga Bikes' Elliott Caldwell to check out the Firefly Trail, new North Oconee River Greenway segments, and more. Adopting specific engineering design guidelines for the application of bike, pedestrian, and transit facilities; including acknowledging the role that aesthetic design can have for encouraging safe and welcoming streets. Creating a committee to publicly address and make transparent the process of how CCG/GDOT decide which roadways may be feasible for Complete Street implementation. This committee shall abide by objective, quantifiable, criterion when evaluating a corridor for the feasibility of a complete streets application. Requiring the committee to provide status updates to the public on the state of complete streets project implementation and other metrics that are crucial to monitoring and allowing stakeholders to have the data and information available to them in order to help direct public discourse. Click here to read the full text amendments. In 2014, City Council passed Resolution 92-14, authorizing a Complete Streets policy based on the statewide policy issued by the Georgia Department of Transportation. This resolution made clear that Columbus would make an effort to be inclusive of all modes of transportation including pedestrians, bicyclists, transit users, persons with disabilities, and would encourage transportation projects to consider safety and mobility. While this has been a step in the right direction and new projects are now being designed with other users in mind, more could be done on the policy side to ensure that these state and national objectives are being met in the long-term future. Georgia Bikes, local supporters and the office of the Mayor proposed that Columbus look to other cities that are leading the way in complete streets in order to strengthen the Columbus Complete Streets policy and continue to promote equitable transportation. The Planning Department then drafted these proposed amendments to strengthen the policy. A big thank you goes out to our supporters, including Bicycle Columbus, Voices for Healthy Kids, The National Complete Streets Coalition, American Heart Association, AARP GA and many more. The next time you see a Columbus Council Member or Planning Department staff person, make sure to thank them for their support of safer streets for all road users!